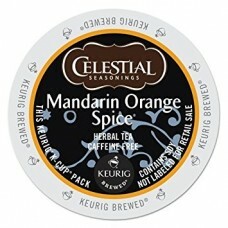 The largest specialty tea manufacturer in North America, Celestial Seasonings is the premier provider of all natural, great tasting teas and beverages brimming with flavor and inspiration. 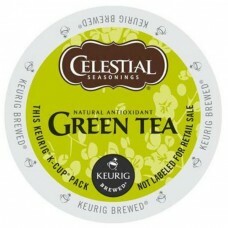 Celestial Seasonings teas are now available in K-Cups, packaged exclusively by Green Mountain Coffee Roasters. Traditional tasting green tea in a K-cup with fresh flavor and a smooth fin..
Full-bodied brew has everything you seek from a fine quality green tea, but.. 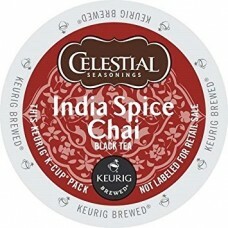 This original Mountain Chai is blended from premium teas combined with natu.. 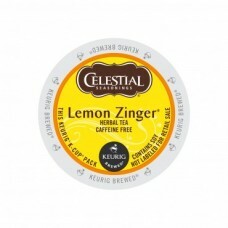 This tea has the tart and tangy taste of lemons, hibiscus and rosehips. Nat..
A medley of oranges mingled with piquant leaves. Naturally caffeine free. D.. 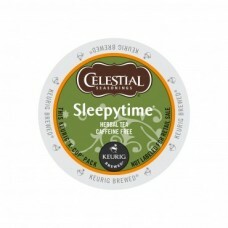 This 100% natural, gentle cup of hot Celestial Seasonings tea lets you curl..